Cel putin unul dintre campurile marcate cu * este obligatoriu! Contains recent business press and academic articles that correlate to the chapter coverage in Management Accounting 6/e. Ideal for additional content reinforcement and for any case-based course, this supplement includes articles from a variety of sources. Readings in Management Accounting can be used with Management Accounting 6/e, or any other management or cost accounting text. What are the most essential qualities of a successful swimming teacher? What are the best tools and exercises needed for delivering the most productive and practical swimming lessons? How To Be a Swimming Teacher gives you everything you need from managing yourself and your class, to planning and delivering your swimming lessons. Plan and prepare your lessons using over 80 fully illustrated swimming exercises that all contain diagrams, teaching points and common mistakes. Teaching swimming could not be made easier. From terrified to terrific, 'Simple Swimming' is the book to help boost swimming ability. 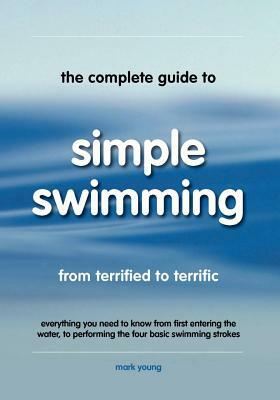 For the complete beginner, this book helps the terrified to understand and appreciate the water and for the established swimmer to adjust and correct the four basic swimming strokes. The 82 fully illustrated exercises contained in this book can help any beginner to learn and practice, and any swimmer to eliminate bad habits and fine tune their swimming. Mark Young is a well established swimming instructor with over twenty years experience of teaching thousands of adults and children to swim. He has taken nervous, frightened children and adults with a fear of water and made them happy and confident swimmers. He has also turned many of average ability into advanced swimmers. He has drawn on his experiences and countless successes to put together this simplistic methodical approach to swimming. Hindered "The Fall and Impending Rise of Black America"